Power magazine recently reported on a study by MIT that determined energy patents were increasing faster than patents overall. What’s interesting is that government money, supporting development of renewables, has been a major force behind new patent applications. While the researchers concluded that the slowdown in government money between the 1970s’ oil crisis and 2003 resulted in a slowdown in innovation, and that government money stimulated innovation after 2000, there is another question relating to government money that needs to be answered. Are the innovations being produced by government money economically beneficial? The researchers concluded, as would be expected, that early stage markets for new technologies are small. They extrapolated from the probability that these markets were small; to conclude that government money was required to spur new product innovation. The Power magazine article didn’t attempt to determine whether these new innovations were good or bad, it merely assumed they were good. Since most of the new innovations involved wind or solar energy, the assumption may have indicated a bias in favor of wind and solar energy on the part of the Power magazine writer. But are wind and solar energy good for the economy? It can be argued that government intervention on behalf of wind and solar wasn’t based on economics, but rather on an assumption that they were good for society … primarily because they would cut CO2 emissions. The article also highlighted that the market has not been willing to invest in carbon capture and sequestration (CCS), a clear signal that the market has concluded CCS has no future … yet the government continues to provide money for developing CCS innovations. The government’s motivation is, again, to cut CO2 emissions from the use of coal. An argument can be made, therefore, that some government investment in energy innovations may be for social rather than economic reasons. If so, the government is thwarting the free economy, which is typically the best way to sort out new technologies in support of what’s best for the economy. The Power magazine article went on to say, “Industries reinforce the status quo and can eventually die.” This infers that government knows best and that industry is not capable of innovating what’s most important economically. This flies in the face of history. The automobile was the result of free markets. The Apple iPhone was the result of free markets. Microsoft’s array of software was the result of free markets. The transition from cable shovels to hydraulic excavators was the result of free markets. The development of fracking was the result of free markets. There was little, if any, government support for innovation in the instances cited here. Government support may be necessary when the scope of the innovation is beyond the economic capabilities of industry. The space program to put a man on the moon and development of the atomic bomb are good examples of where the government’s size and ability to absorb risk were crucial. There is every possibility that government investment in innovations for wind and solar energy may not be the best economic use of money, but this possibility was never addressed in the Power magazine article. These articles can be delivered directly to your mailbox. Subscribe by clicking below the photo on the right side of the article where it says email subscription, and entering your email address. You can unsubscribe at any time. If you know someone who would be interested in these articles you can send him/her a link to the article and suggest he/she subscribes by clicking on the email subscription link under the picture on the right side of the page, and entering their email address. To find earlier articles, click on the name of the preceding month below the calendar to display a list of articles published in that month. Continue clicking on the name of the preceding month to display articles published in prior months. 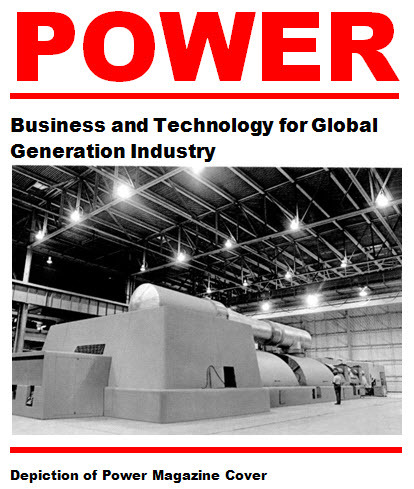 © Power For USA, 2010 – 2014. Unauthorized use and/or duplication of this material without express and written permission from this blog’s author, Donn Dears, LLC, is strictly prohibited. Excerpts and links may be used, provided that full and clear credit is given to Power For USA with appropriate and specific direction to the original content.